Gandhi and Nehru had differences. But they had strong mutual synergies on vital issues. BEFORE THE mid-19th century, the term secular was sometimes used with contempt. For the clergy, in particular, it was almost a synonym for the uninitiated or “ignorant”. The term was sought to be popularised in its political use by Charles Bradlaugh and Holyoake in the mid-19th century. It took time to be adopted. Even Lincoln uses the word only once and that too in a non-political context. Its usage lagged behind the formation of nation-states. When more democratic forms of government came to be established the political usage correspondingly increased. The Motilal Nehru Committee Report on the Principles of the Constitution of India in 1928 makes no reference to the word itself though the spirit of the Report is entirely secular. The Karachi Resolution in March 1931, to which Gandhi, Jawaharlal Nehru and Maulana Azad were party, stipulates religious neutrality of the state. Secularism is writ large on the resolution. But the word is absent. A repeated usage of the term occurs early in Gandhi’s writings and speeches in 1933. Two Bills were then before the Central Legislature. One of these related to untouchability. Gandhi supported the Bill, arguing that it properly sought to withdraw the sanction of “secular law” from a “custom that is repugnant to the moral sense of mankind”. Such a practice, he said on May 6, 1933, “cannot and ought not to have the sanction of the law of a secular state”. In November 1933 he defended the Bill against the charge that it was an undue interference in religion, saying that there were many situations in which it was necessary for the state to interfere even with religion. Only “undue” interference ought to be avoided. Significantly, Gandhi’s use of the term secular in relation to the state is such as may, in contemporary political discourse, be described as “Nehruvian”. That is, Gandhi does not attach any meaning to the term secular that would have been unacceptable to or unintelligible to Nehru. This point is repeated as freedom dawns and Constitution-making begins. Gandhi’ s talk with Rev. Kellas of the Scottish Church College, Calcutta on August 16, 1947, the day after Independence, was reported in Harijan on August 24: “Gandhiji expressed the opinion that the state should undoubtedly be secular. It could never promote denominational education out of public funds. Everyone living in it should be entitled to profess his religion without let or hindrance, so long as the citizen obeyed the common law of the land. There should be no interference with missionary effort, but no mission could enjoy the patronage of the state as it did during the foreign regime.” This understanding came subsequently to be reflected in Articles 25, 26 and 27 of the Constitution. On November 15, 1947 the AICC adopted various resolutions on the rights of the minorities, repatriation of refugees and other issues. The aim of the Congress was defined as a “democratic secular state where all citizens enjoy full rights”. Gandhi warmly welcomed these resolutions, saying at a prayer meeting that they were so important that he wanted to explain the various resolutions “one by one”. There was a creative tension in the Gandhi-Nehru relationship. They had differences. Gandhi’s religiosity was not shared by Nehru. 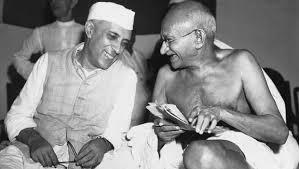 Both often gave expression to differences publicly, in private letters to one another, and, in the case of an incarcerated Nehru, in his diary. Some writers have magnified these or focussed primarily on these. But they had strong mutual synergies on vital issues when the two would spring to each other’s side. Gandhi ‘s positions on the secular state are Nehruvian in character. Likewise, Nehru’s positions on the definition of the Indian nation are the same as Gandhi’s. 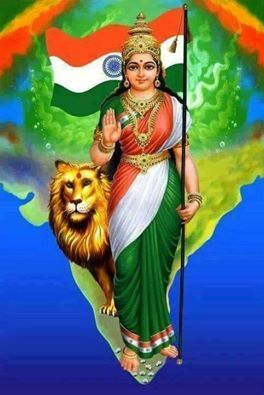 Both stand for territorial nationalism, thus clearly demarcating themselves from those in the Hindu Mahasabha, the Muslim League and the pre-independence CPI of the 1940s which would define nation or nationality on the basis of religion. It is difficult to work together even for a while if differences overshadow commonalities. Gandhi and Nehru pulled together for decades. Gandhi as Congress president in 1924 retained Nehru as general secretary. He suggested Nehru’s name for Congress presidentship on at least four occasions — 1929, 1935 (for 1936), 1938-39 (on this occasion along with the Marxist Socialist Narendra Deva’s name) and finally in 1946. Nevertheless, a Gandhi-Nehru divide was projected from various ideological platforms, some of them seeking to widen it into a chasm. The Hindutva forces, already stained with Gandhi’s blood, projected the divide because, separated from Gandhi, Nehru made for them an isolated and therefore easier ideological target. The dichotomy was further emphasised within the post-1969 Congress because of a perceived need to assert specific loyalties. This perhaps enabled even leaders like, for instance, Vasant Sathe, who had been in the RSS in 1939-41, to present themselves as Nehruvian. Those tied to the pre-Independence CPI tradition of the 1940s, (not necessarily or always identical with the contemporary Left), also `theoremised’ the Gandhi-Nehru divide. Some of them styled themselves as Nehruvians in relation to Gandhi; but not all of them held to the Nehruvian position where the choice was between the Gandhi-Nehru view of the nation and the Muslim League notions of nation or nationality. Some of the Gandhians too promoted the separation of Gandhi from Nehru. They picked on specific differences between Gandhi and Nehru and converted them into their own defining characteristic. For several years this enabled many of them to wash their hands of contemporary developments. But the hour of reckoning now approaches.